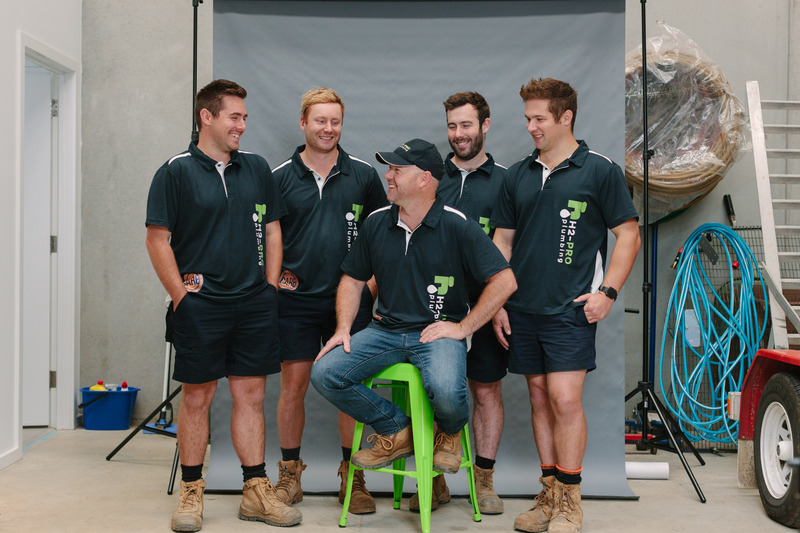 Become A Local Plumber servicing Melbourne’s northeast areas. Join the H2-pro family now. Do you love your trade but feel like it’s time for a change? Sick of being a one man band, snowballed with paperwork and no time? Qualified plumbers or 4th year apprentices to join our merry crew on a full time basis. This is a fantastic opportunity to work in our multi award winning company, whilst building your skills and your confidence! We have been around for over 18 years and have a database of over 2,500 that is growing at 50% pa. We are a highly professional business and regularly invest in ongoing training, education and absolute best practice in how we work on the tools and within the business itself. We are are a family run business and have lived in our local area for over 40 years. We work where we live and giving back to our community is important to us. We respect our team and we offer a supportive environment. We grow our staff to their full potential, providing cutting edge training both on and off the tools. These skills not only make our plumbers the best in their trade, but they are also learning the necessary skills to run their own business. Besides the plumbing you will be responsible for booking jobs, organising materials, providing quotes, and building a great rapport with your customers. You will have your own business cards and your van is essentially a mini business within the business. We provide you with a new fully decked out van and tools, uniform, phone, great salary, plenty of local work and loads of support. Every Monday we have a team meeting where the boss cooks breakfast. This is where we sit down as a group and cover our OHS, business skills and sales training. We talk about what is working and also what’s not working. We look after our staff and even give you your birthday off. If you’d like to see more about us, our culture and our values, check out our Facebook page. Good on the tools with a minimum of three years maintenance plumbing experience. Be able to work as a team or independently (full phone support provided). Punctual with a tidy appearance. Excellent written and oral communication skills and be organised with paperwork. Looking for long term employment and have the ambition to learn the skills to be your own boss. So back yourself and contact us today! Don’t spend any more time working in a job that gives you no satisfaction. Come and work for us and begin your new career. www.h2pro.com.au or 9844 1444 or employment@h2pro.com.au. I would just like to express my gratitude and pleasure for being a valued member at H2-Pro. I can honestly say that you are the best employers and team members I have ever worked for. I have worked for small companies and also some of the largest companies in the world but none operate with the same level of professionalism and clarity such as H2-Pro. It is easy to see the passion you put into the running of the business and the on-flow effect is that your employees are well respected and in turn deliver a professional attitude. I would highly recommend H2-Pro to any plumber looking for a great environment and team to work in.